MOTT HAVEN, Bronx (WABC) -- A 14-year-old boy is facing charges after police say he brought a knife to his Bronx school to intimidate an older boy who punched him the day before. Authorities say the teen got into a fight Monday with a 16-year-old who had come to the defense of another youth at the Urban Assembly School for Careers in Sports, located at Concourse Village West in the Mott Haven section. 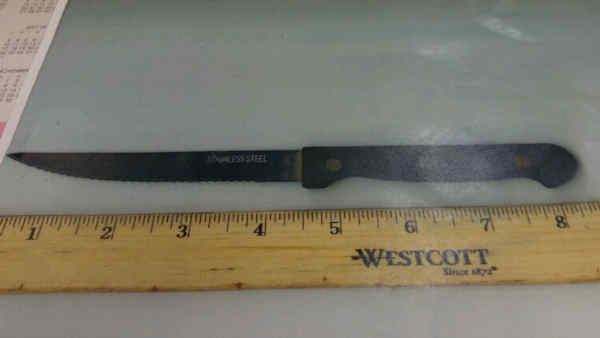 The 14-year-old allegedly came to school Tuesday with a steak knife, which he is accused of flashing at the 16-year-old around 11:45 a.m. The 14-year-old is charged with criminal possession of a weapon and menacing, while the 16-year-old was charged with assault for striking the younger boy Monday.